Tulum, and particularly the beach front area, has lots of different culinary highlights to offer. Some restaurants are highly overrated and booked out months in advance, but others are definitely good to drop by spontaneously. We decided to enter a restaurant named Cenzontle Tulum. Its food is a mix between typical Mexican flavors and a new fusion style cuisine – making it a very interesting culinary experience. 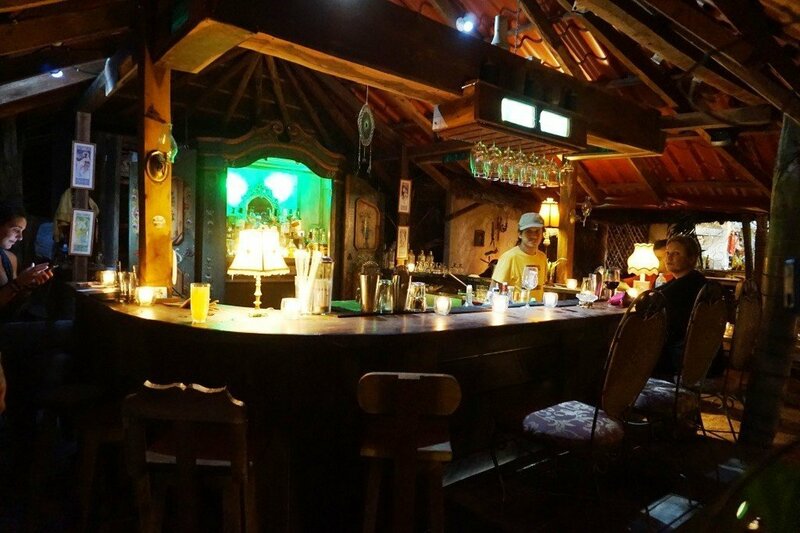 This place has an amazing atmosphere; calm, good music, some candles, new style Mexican decoration and vintage furniture that make you feel very comfortable. 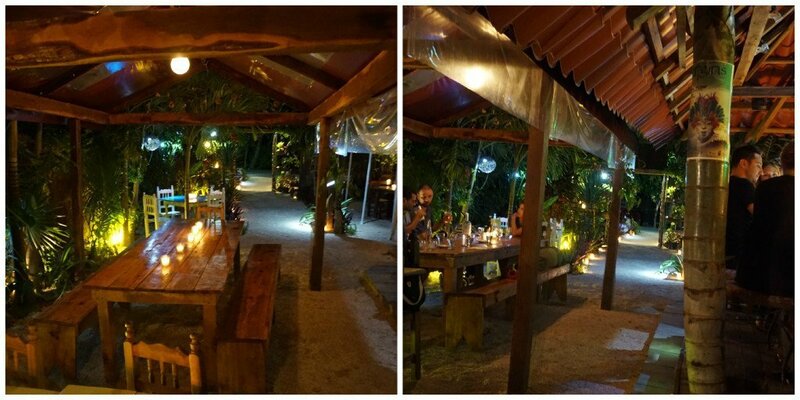 The interior and exterior of the restaurant are very inviting to enjoy some nice food and drinks. With a very simple but super tasty menu, Cenzontle restaurant has some delicious appetizers that mix with typical Mexican ingredients such as hibiscus, crickets, tamarind sauce, avocado and more. A very unique and distinct fusion of flavors that make it extremely delicious! We had the chance to try different appetizers but our favorites were the duck carnitas and the seafood pozole. 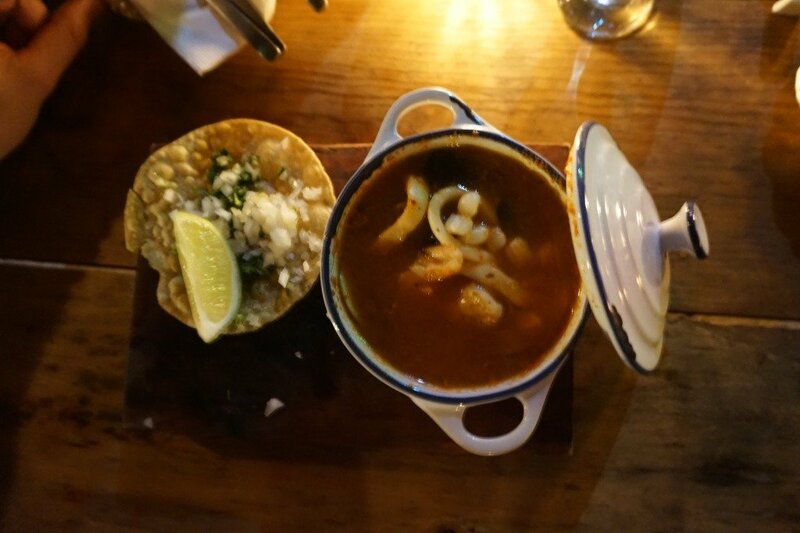 We never tried the pozole in this way but really liked it a lot. The main dishes we tried was the Catch of the day (Fish), well marinated with ginger, paprika, olive oil and served with a side dish of chipotle rice (with chipotle chili) – but no worries, it is not that spicy. Another dish we could not resist to try was the Pork Ribs. In vanilla and pasilla sauce with a beetroot and sweet potato puree and apricot compote – they were absolutely delicious! 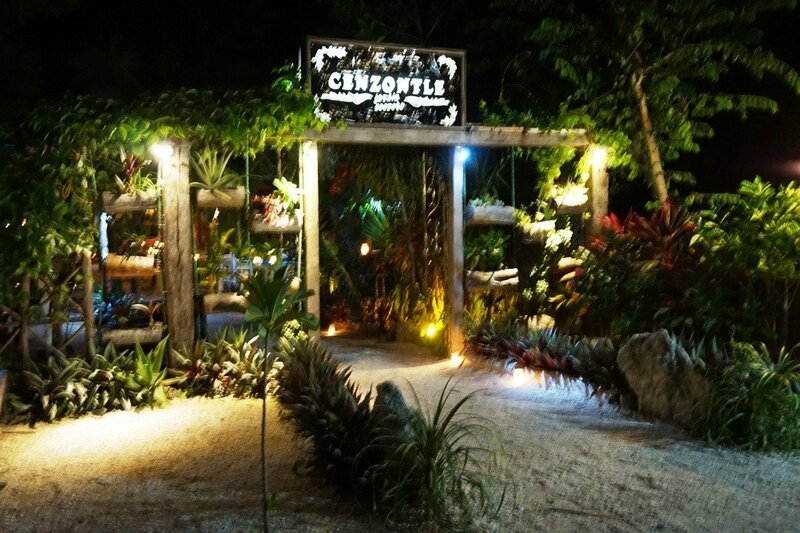 Cenzontle is located on the jungle side of the beach road in Tulum. It is quite easy to get there with a cab/ car as you can recognize the place by the pretty decoration outside. Its very chilled, got great food and a nice atmosphere – definitely a place to recommend. You should check it out!